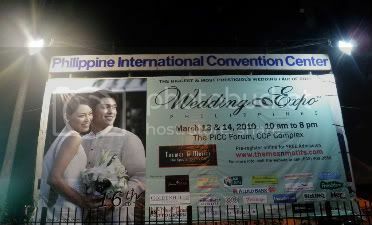 Wedding Expo Philippines 16th Edition! For The Soon-To-Wed Geeks! 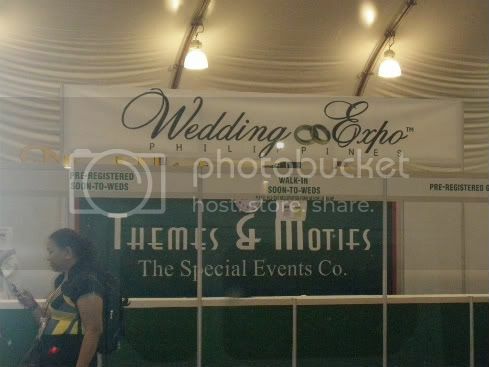 A whole bunch of soon-to-wed geeks gathered for the 16th edition of Wedding Expo Philippines, brought to us by Themes & Motifs The Events Specialist Co. We, your Geekpinoy correspondents, were there again to check out this event, mingle with different suppliers and hoping to get some good deals. Come check this out to see our take on this glorious event! 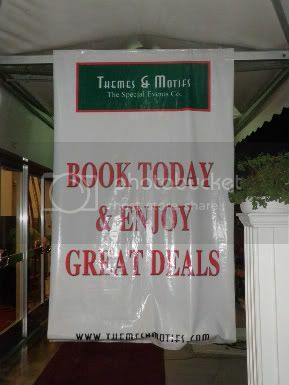 Themes & Motifs is one of the prestigious organizers of Wedding Fairs in the Philippines. They also cater to corporate and other family-oriented events, providing new ideas to their clients to ensure they have a memorable one. Themes & Motifs introduces Weddings Philippines, its pitch to put Philippine wedding suppliers in the world map by showcasing their creativity in the various events that it produces. Weddings Philippines invites soon-to-weds from all over the world to choose Philippine wedding suppliers, some of the most creative and skillful dream wedding masters, for their big day. Themes & Motifs presents Weddings Philippines, the finest gathering of Philippine wedding suppliers, in an elegant showcase through its landmark and much awaited events. Professionally managed by marketing executives who have years of experience in product management and marketing services, Themes and Motifs - The Special Events Co. translates the exacting discipline of the corporate world to weddings, debuts, product launches, press conferences, and other special occasions to make them truly efficient, well organized, and cost effective. T&M's reputation has been built on high standards of professionalism, uncompromising attention to detail, and unwavering commitment to service excellence. 1. Check out the details of the exhibitions – dates and venue. CHECK! 2. Remember that in any exhibition, a registration fee is required. So make sure to check for some “early bird” registration details to minimize your costs and enjoy the exhibition for free or at a discounted rate at least. CHECK! 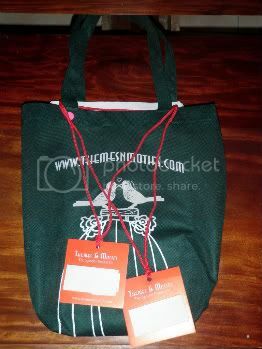 For pre-registered guests, a loot bag was also provided which became very handy later that day. 3. Bring your camera. This will help you to capture those ideas that you liked. CHECK! Too bad the organizers didn’t allow guests to take pictures to protect the suppliers from intellectual theft. 4. Collect all flyers and get as many as you can. This will help you to have more options to choose from. CHECK! This was where the bag was helpful! 5. Check the net for schedules of other exhibitions this year. CHECK! In fact, if you visit the Themes & Motifs website, you’ll find that they have another wedding expo on the 26th & 27th of June. This was a two day event. Enough time for the soon-to-weds to make their decisions and get new ideas for their special day. We mingled with most of the suppliers and they do give a lot discounts and freebies when you book during the expo. Plus there was a raffle draw for a trip to Mauritius for a honeymoon! So for every thousand that the couples purchase, they get some raffle tickets and increased their chances of winning. The expo had two food tasting events too. One was with Juan Carlo The Caterer, they had a huge space as their reception area and another huge space for their food tasting. We actually signed up for the food tasting too so we got to talk so one of their representatives and taste their food – which by the way is great! Their representative was so informative and with good sales talk. The representative we spoke with kept on making fallbacks to lock us in and was securing our sale all the time. Juan Carlo definitely gets our vote! Then the other food tasting was by Center Table Catering which was located at Aliw Theater. A courtesy shuttle took us to the venue. When we got there, the place was a little gloomy and honestly, we were not too pleased with what we saw. There was no representative to assist us so we just went straight to their buffet table and had some of their food. When we sat down, there was still no representative that approached us to give us an idea of what they offer. We stayed for a few more minutes to give them a chance, but to no avail. It was only when we stood up when somebody approached us. We didn’t have time anymore as we still wanted to check out some of the rings back in PICC so we just took their brochure and contact number. Maybe it wasn’t such a good idea to isolate the food tasting from the actual event. Sorry Center Table but we were not pleased at all. When we got back to the main event, we headed out to the jewelry stores. Most of them were giving out 40% off on the engagement rings and wedding bands. Some of them were even giving installment plans. As we went from one store to another, our favorite was Matus Jewelry as their sales rep was very knowledgeable about the diamonds and the components of the metals that were used. She was the only one who gave us a 101 on what the best carat of white gold should be used and the 4c’s of selecting the best diamond – cut, color, clarity and carat weight. According to her, there is really no “white gold.” The gold component was just washed off to make it white. The lesser carat of the white gold, the longer it takes for the gold color to resurface. She was absolutely friendly and knew what she was saying. For that, two thumbs up for Matus Jewelry! In the end, we went home with a bag full of brochures and a mind filled with new ideas. Now time to put all these ideas into an excel file and start drafting the costs. See you on the next wedding fair! Congrats to all those soon-to-wed geeks!